Calling the government's proposal to sell products of multiple insurance companies 'not implementable', the Bangalore-based public sector lender Canara Bank has decided to oppose it. 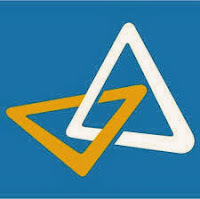 According to Canara Bank officials, the bank has planned to pass a resolution rejecting the government's diktat. The bank has already circulated a note in this regard to its board members, the officials said. Resolutions can be passed through board notes when directors are unable to meet within a given timeframe. Aiming to improve the reach of insurance products, the finance ministry had recently asked all PSU banks to act as insurance brokers, adopting which they would be able to sell insurance policies of multiple companies. At present, most of them sell policies under the corporate agency arrangement which prevents them from selling products of more than one life insurer and one general insurer. The ministry feels the wide network of state-run banks will help insurance to reach remote areas. This problem arises because most of the banks have floated insurance companies in partnership with foreign insurers with an understanding that they would sell products of only the company they have promoted. For example- Canara Bank and Oriental Bank of Commerce, both government-run, have floated a joint life insurance company in partnership with HSBC. As per the agreement among the three, the partners are prevented from selling products of any other life insurance company. Recently, the Indian Banks' Association had written to the finance ministry, saying that the management of each bank should be given the freedom to decide on whether they would be competent enough to sell products of more than one insurer. Not all banks would be positioned to provide insurance broking service because the Reserve Bank of India (RBI) is not in favour of banks with bad loans above 3 percent to get into insurance broking service, the Indian Banks' Association said. As of now, State Bank of India, Central Bank of India and Punjab National Bank have bad loans of more than 3 percent.